At Mobile World Congress this year, we had a good look at something called the Mems|cam from DigitalOptics, which is best described as a camera module which will bring Lytro-like focusing abilities to your smartphone. We got some hands-on time with a few working prototypes and were suitably impressed, particularly by the variable fields of focus and the lightning fast face recognition software, but there was no word on when we’d see one inside a phone we could buy. However, this week DigitalOptics has signed a deal which could see a Mems|cam-equipped smartphone take a step closer to becoming a reality, as the firm has announced Lite-On Technology will start producing its camera modules later this year, with a view to switching to high volume runs next year. Lite-On isn’t the first name that springs to mind when you think about smartphone hardware manufacturing, and while the company is best known for its Blu-ray players and CD-ROM drives, it’s also the largest supplier of camera modules in China, and sits third globally. According to a Forbes article on the subject, Lite-On supplies Sony, Nokia, ZTE, Huawei and several other manufacturers based in China. One is Oppo, which we were told at MWC was interested in DigitalOptics’ technology. 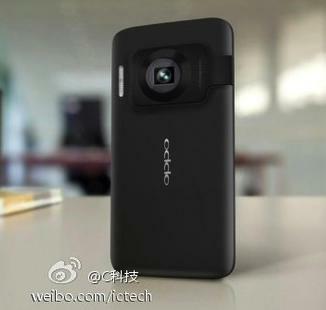 Interestingly, this comes after a new Oppo phone named the N-Lens N1 was leaked. It’s believed to be the company’s first attempt at a true camera phone, a market niche which has seen a resurgence after the announcement of the Lumia 1020 and the Galaxy S4 Zoom. The rumor puts the N-Lens’ camera at 12-megapixels, which is within DigitalOptics’ guidelines, and says it’ll be joined by a xenon flash and a new imaging chip called OWL. Is all this connected to the Mems|cam? We don’t know yet, but it’s certainly an intriguing coincidence.